The best webcams Nice (France) in real time! Vietnam is a country that is rapidly gaining popularity among tourists from around the world, and the resort town of Nha Trang is one of the most famous holiday destinations on the coast of Vietnam. Therefore, live webcams Nha Trang, with using which you can see some places of the resort in real time, are interested in a large number of foreigners. Unlike some other countries in Asia, Vietnam as a tourist destination is not so popular yet, but this amazing country in many respects is not deprived of a unique landscape, original cuisine, culture and architecture. And many of those who have not yet visited Vietnam, are happy to use online webcams for initial acquaintance with the country and its popular resort called Nha Trang. Despite the fact that the number of Nha Trang webcams in real time is not too big, the currently active webcams can show us such interesting objects as the coast of the South China Sea with beaches in the central part of the resort, and also a number of places directly in the city (popular streets, temples and parks). There is no doubt that the dynamic development of tourism in the country will certainly contribute to the continuous increase in the number of Nha Trang online cameras. And this means that in the near future we will be able to see even more interesting places in the resort. 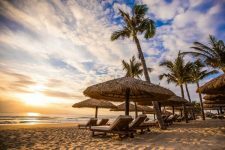 As with other online webcams of cities and resorts that were added to the Webcam-Travel.com earlier, Nha Trang webcams allow you to see the weather in the resort in real time at the exact moment you want to know it. In this case, webcams located on popular city streets are best suited to view the current weather in a specific area of ​​Nha Trang. And those webcams that are located high above the ground will show you the weather in real time on a large resort area, including the coast, the central beach and the water area of ​​the South China Sea near Nyachang. This means that online webcams allow you to see with your own eyes the situation in the resort both during the high season and during the rainy season in Nha Trang. A separate category are web cameras that are located on the territory of hotels in Nha Trang. Perhaps, such cameras are interested in fewer tourists than the webcams on the beaches. However, for those who have not decided on the place of residence in the resort, the hotel webcams are of interest. After all, with the help of such web cameras you can see the territory of the hotel, pool or garden not in photos from the reservation site (for example, Booking or Hotellook), but in real time. Agree, this gives a much better view of the hotel than static photos that could have was made several years ago. Perhaps sooner or later, every solid hotel will have its own webcam, but at the moment, unfortunately, this is not yet a generally accepted standard. For your convenience and speed up the process of downloading online videos from Nha Trang webcams, they are all posted on separate pages of the site. At the same time, some webcams start online broadcasting in automatic mode, and to start others it is required to click in the central part of the playback window and wait a 10-30 seconds before the start of the broadcast. In order to quickly jump to the next Nha Trang webcam in real time with a single click, you should click on the arrow above each camera. And to return to the list of webcams on this page, use the special link below the description. 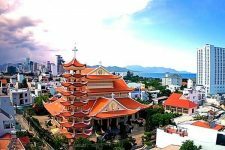 By the way about the description: under each of Nha Trang online cameras there is a brief description of the place where the camera is located, as well as the main objects that you can see with this webcam. Most resort webcams (but not all) have a special timer that shows the current time in Nha Trang and the current date. With this timer it’s easy to make sure that you are really watching the webcam of Vietnam Nha Trang in real time. The best time for viewing cameras is a light day, although city streets also have good artificial lighting and allow Nha Trang to see even at night. Just do not forget about the possible time difference, if you live not in the countries of Asia, but in the territory of Europe, Africa or America. Enjoy watching! Another Nha Trang webcam in real time, which is located in the city area of this popular resort in Vietnam. As you can see, the webcam is placed on the facade of the building a few meters from the street level. This arrangement makes the review more broad and interesting. The wide street that can be seen in the foreground is called Trần Phú (Chan Phu) and this is indeed the most famous street in Nha Trang, which all tourists who are visiting the resort know. 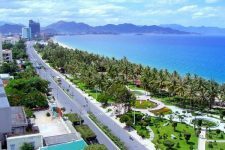 The popularity of this street is explained by the fact that Chan Phu is the main transport and pedestrian highway running along the coast of Nha Trang. in fact it is the main beach street of the resort, which is separated from the sandy beach only by a narrow park area. The street name is not translated into other languages, tk. she was named after the name of the first secretary, who headed the Communist Party of the country. Webcam Nyachang overlooking the beach street is located next to the well-known in the resort Aun Thu shop, which specializes in selling products and souvenirs from the skin of the crocodile. This Vietnam real-time webcam allows you to see the vast territory of the resort city of Nha Trang, which is one of the most popular holiday destinations in the country. The location of the webcam is one of the high-rise buildings of the city. As you can see, in the foreground is a beautiful temple with a very unusual architecture. At first glance this is a traditional temple for the asian country in the form of a multi-storey pagoda. 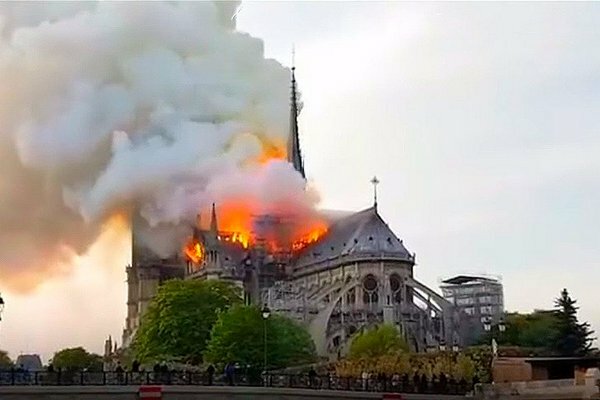 However, if you look more closely, you can see the Christian crosses on the tower and on the roof. All this indicates that before us is not a Buddhist temple, as many think at first, but a very beautiful Catholic church, which is built in the Asian style – Khiet Tam Church. The named temple is located in the southern part of the city, not too far from the central beach of the resort. Therefore, during a your holidays in Nha Trang, you can spend some time to visit this interesting and very picturesque place. 3. Live Webcam Nha Trang – a famous street of the resort! 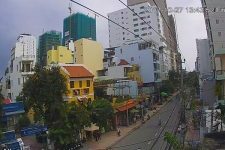 With this Nha Trang webcam in real time, you can see the situation on the busy city street Nguyễn Thiện Thuật. This street was named after the famous revolutionary leader of Vietnam, who became famous for commanding the armed forces of the country during the struggle for independence (against the French colonial authorities). Nguyễn Thiện Thuật street has a length of about six hundred meters and is located approximately in the center of the main city beach of Nha Trang, but at some distance from the sea. In simple terms, this is not the first beach line, but the third. However, there are a lot of hotels, popular with independent travelers who prefer to live for little money, but with an acceptable level of comfort and not far from big sand beach. Despite the fact that this third street from the beach, this place is very lively. Webcam Nha Trang located on the facade of one of the buildings, and in the foreground is a carriageway with a rather brisk movement. This original Nha Trang webcam in real time allows you to see the situation on the central beach of the resort – in the Dream Beach area. This beach is located on the territory of the famous Gorky Park and is one of the best places for a beach holiday in the whole resort. 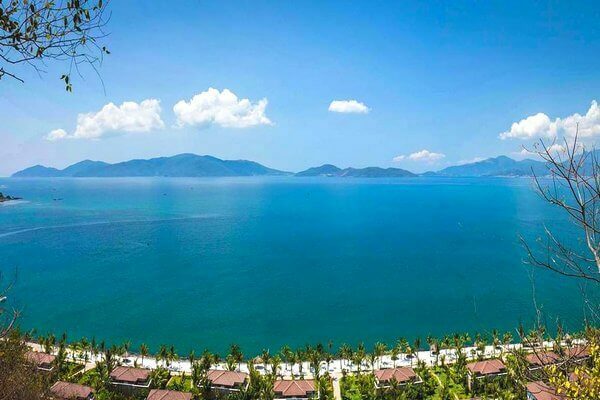 In general, the city beach in Nha Trang has a length of about 7 kilometers, so you can not see it in its entirety and in detail with the help of only one web camera. But apart from the beach itself, this online webcam allows you to see most of the South China Sea Bay in the Nha Trang area. This gulf, which beautifully surrounds a chain of low brown-green mountains, often found in the haze of clouds, is included in the TOP-30 of the most beautiful bays of our planet. In the foreground of this Nha Trang webcam, we can see a wide beach strip with sun beds and umbrellas. The color of the sand on the beach in Nha Trang is not white, but rather yellow, consisting of coarse sand and fragments of sea shells. This original Nha Trang webcam allows you to look at the sea in real time. The webcam is located in one of the high-rise buildings on the seafront. As a result, the view of the sea bay of Nha Trang is slightly limited on both sides by neighboring buildings. The shade of these buildings is clearly visible on sunny days on the beach and the water, especially in the afternoons. However, if you expand the webcam to full screen, then we can see the beach, and most of the Bay of Nha Trang online. This is especially important for those people who want to learn about the weather in Nyachang not from the forecast on the Internet, but to see the situation on the coast of the resort with their own eyes in real time. The location of this webcam is the northern part of the resort. Therefore, even in the winter months, when there may be high waves in the central part of Nha Trang beach, you can swim more safely here.